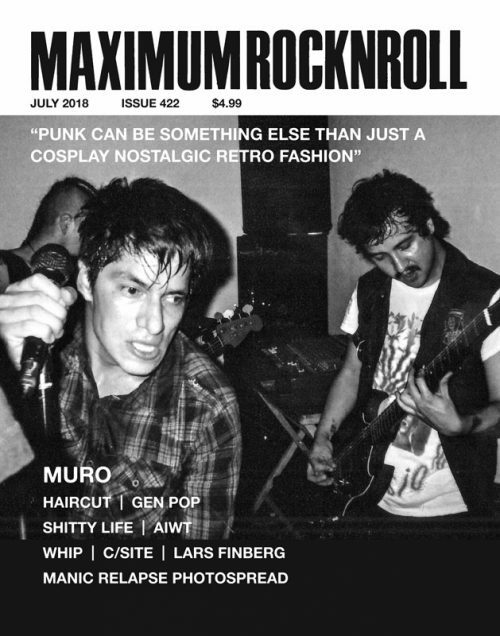 Maximum Rocknroll rings in the New Year with a special photo issue. 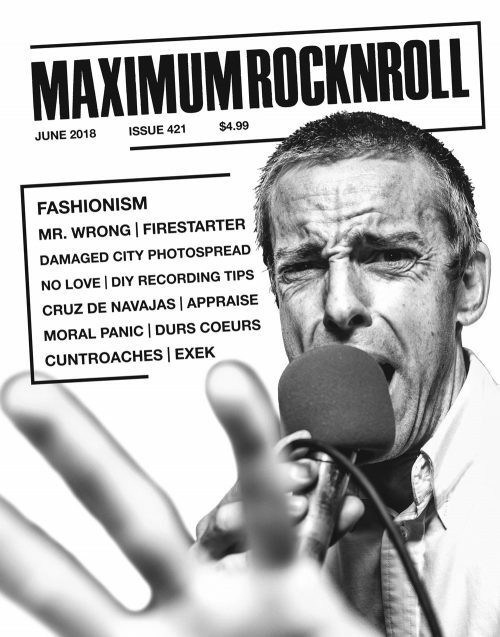 Featuring contributions from over 75 photographers, issue #321 is chock-a-block with killer punk photos from around the world. It includes an Aaron Cometbus/Anna Brown interview with longtime MRR contributor Murray Bowles (If Life Is a Bowl of Cherries…). We talk with Helge Schreiber, compiler of the last MRR photo issue, Welcome to Cruise Country (1987), and we also interview 924 Gilman St.’s house photographer Larry Wolfley. Brazilian photographers and editors of Fodido E Xerocado, Mateus Mondini and Daigo Oliva go head-to-head, Karoline Collins and Chrissy Piper interview each other, and Patrick Baclet talks about publishing his photo book, Out of Vogue. Token garage punk photographers Mark “icki” Murrmann and Chris “Canderson” Anderson get grilled. This special photo issue also includes an extensive, illustrated bibliography of punk photo books. But really the focus is on the photos. Lots and lots of photos. 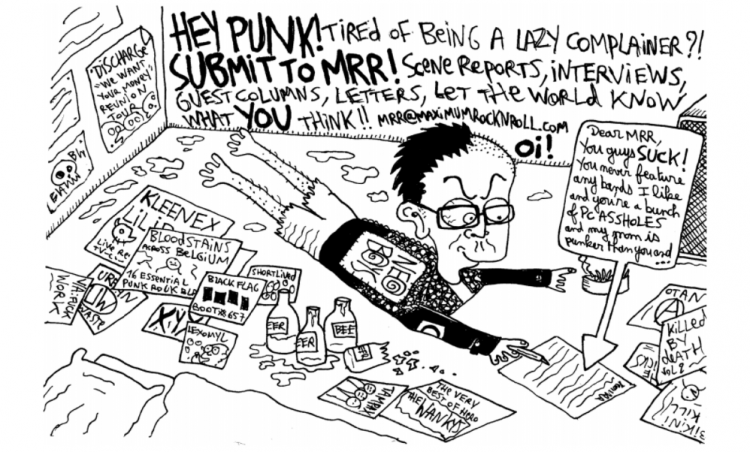 All this plus the usual columns, news and the most extensive review section in punk. Cover shot of Spain’s INVASION by Mateus Mondini.